The most prestigious among the First Classified Growths of 1855, Château Lafite Rothschild is the lord over his lands of gravel. Bearer of a long wine tradition initiated in 1620, the estate has assertively carried the banner of the Pauillac appellation on the Left Bank of the Bordeaux region for centuries. Because great wines are born only in the great terroirs, Château Lafite Rothschild enjoys an exceptional location with a vineyard divided into three large areas, the hillsides surrounding the Château, the Carruades plateau in the west and a parcel in the neighbouring town of Saint-Estèphe. 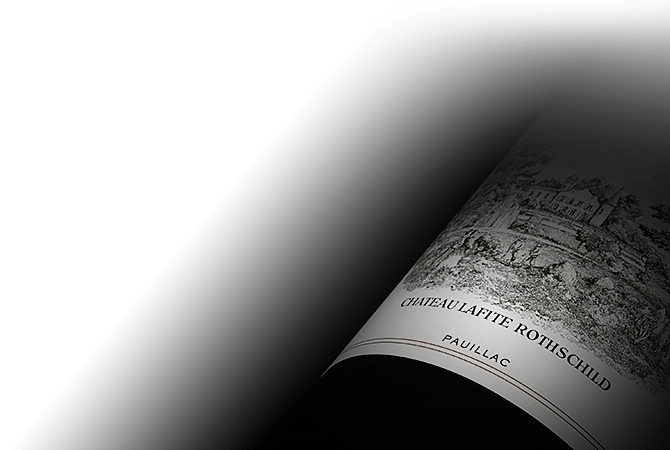 Château Lafite Rothschild has a total of 112 hectares of vines planted in a topsoil of sand with fine, deep gravel soils that rests on a limestone bedrock, which provides excellent drainage. From Cardinal Richelieu to the American President Thomas Jefferson at the time, the great global personalities fell under the spell of this impressive wine with a unique soul and unparalleled refinement. In their youth, the wines of Château Lafite Rothschild display the austerity and the depth of great wines while the years allow them to develop the nobility of the signature bouquet of the estate. The developed bouquet offers rare notes of cedar and spice marked by delicate violet floral notes with graphite minerality. With elegant tannins and a silky, velvety structure, there has been no equal over the decades to the wines of Château Lafite Rothschild. Only the great wines know the secret to such class and elegance.